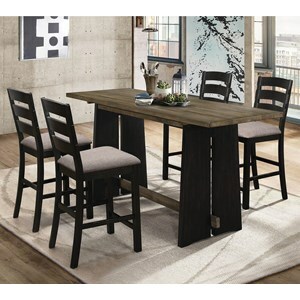 Add a light touch to the nook of your dining room or kitchen with this pub table and stool set. 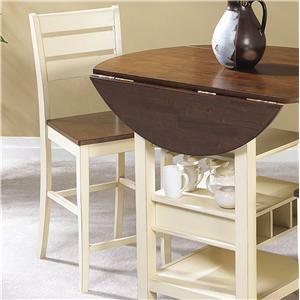 The round-shaped table carries a mix of Mahogany/Cream finish that provides a beautiful contrast. 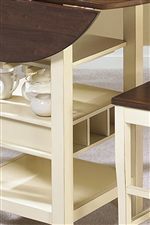 The single-pedestal base comes with three tiers and middle wine rack, which are great for keeping cups, plates and wine bottles. Plus, the drop leaves are great for space conscious areas. Meanwhile, the matching stools include ladder back and square tapered legs. 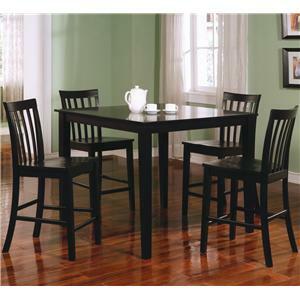 You'll be set with this counter height table and stool set in your home. 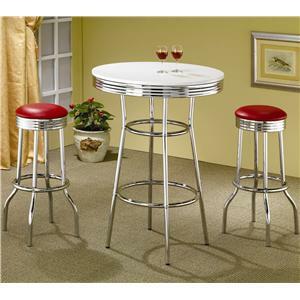 The Cascade 3 Piece Pub Set by Cramco, Inc at Value City Furniture in the New Jersey, NJ, Staten Island, Hoboken area. Product availability may vary. Contact us for the most current availability on this product. 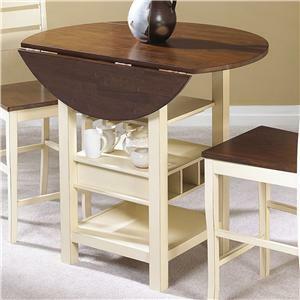 Table Info The round-shaped table carries a mix of Mahogany/Cream finish that provides a beautiful contrast. The single-pedestal base comes with three tiers and middle wine rack, which are great for keeping cups, plates and wine bottles. Plus, the drop leaves are great for space conscious areas. Side Chair Info The piece carries a Mahogany/Cream finish that contrasts beautifully and features a ladder back as well as square tapered legs. Add a light touch to the nook of your dining room or kitchen with the Cascade collection. 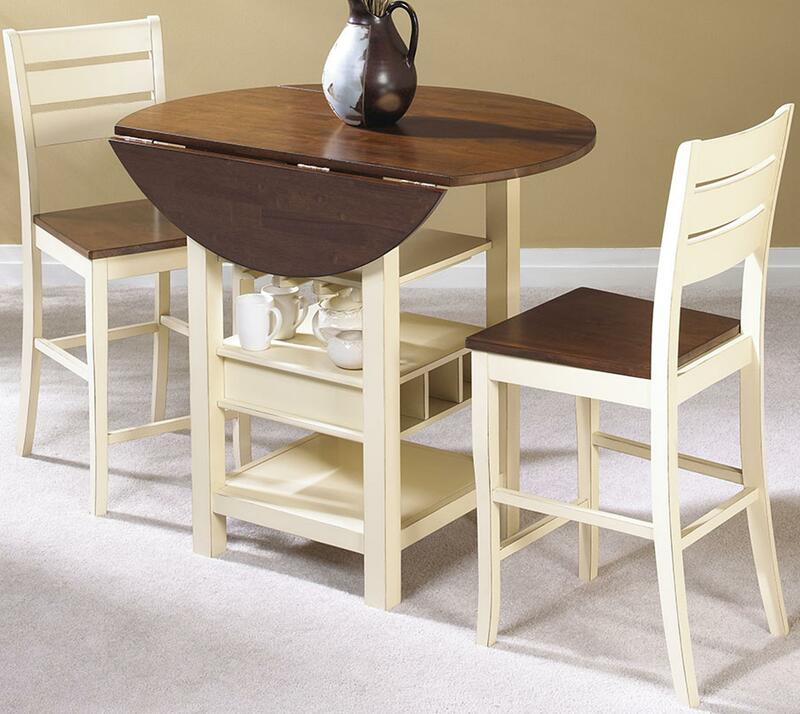 The round-shaped table carries a mix of Mahogany/Cream finish that provides a beautiful contrast. The single-pedestal base comes with three tiers and middle wine rack, which are great for keeping cups, plates and wine bottles. Plus, the drop leaves are great for space conscious areas. 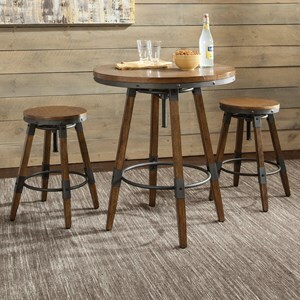 Meanwhile, the matching stools include ladder back and square tapered legs. You'll be set with the Cascade collection in your home. The Cascade collection is a great option if you are looking for Casual furniture in the New Jersey, NJ, Staten Island, Hoboken area. 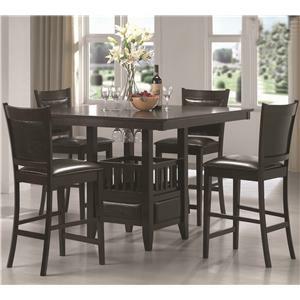 Browse other items in the Cascade collection from Value City Furniture in the New Jersey, NJ, Staten Island, Hoboken area.